John Sergeant Gerhard was born in Philadelphia on Dec. 24, 1845, the son of Benjamin Gerhard and Anna Sergeant. Benjamin Gerhard, a prominent lawyer, was for many years a trustee of the University of Pennsylvania, even though he himself had graduated from Dickinson College. 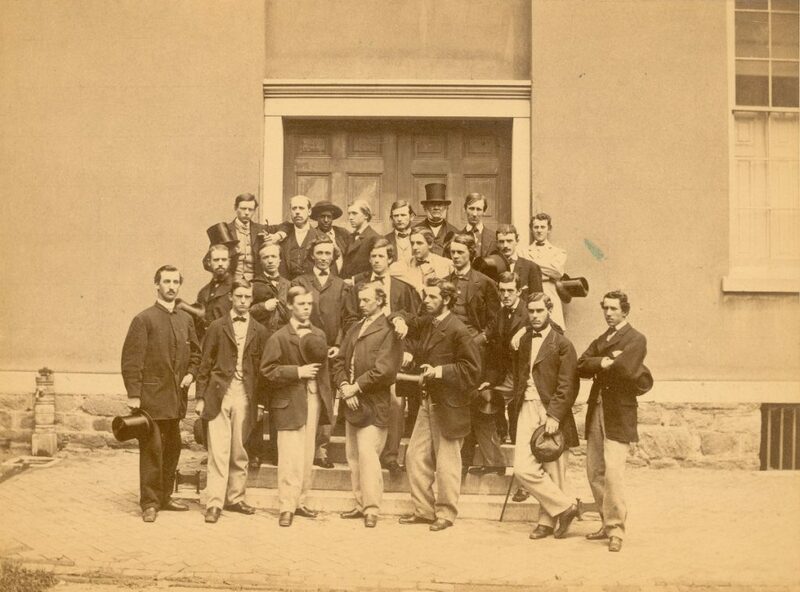 Gerhard entered the University in 1861 as a member of the Class of 1865, and was a member of the Philomathean Society. His younger brothers belonged to Delta Psi, but John did not join any fraternity. During the Civil War, he served as a second lieutenant in the University Light Artillery from 1863 to 1865. Young Gerhard went on to study law, earning his LL.B. in 1867. On October 4, 1873, he married Maria Pepper, daughter of William Pepper M.D., a professor in the Medical School. Maria Pepper was also the sister of William Pepper, Jr., (Class of 1862) who later became provost of the University (1881-1894). A son, Albert Pepper Gerhard, graduated in the class of 1899. John Gerhard died on May 2, 1911, in Overbrook, Pennsylvania.